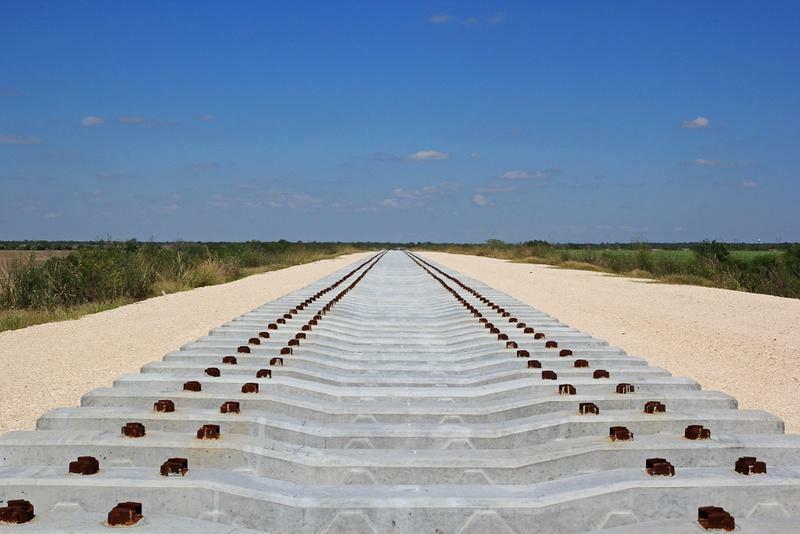 Concrete railroad ties are staged for the construction of the new Brownsville rail bridge. A high-speed rail line connecting San Antonio and Monterrey, Mexico, could be less than a decade away from welcoming its first passengers, according to federal and Texas officials who met with Mexican officials in Washington, D.C., on Thursday to discuss the project. U.S. Rep. Henry Cuellar, D-San Antonio, hosted the meeting in which Texas and Mexican officials offered a joint presentation to U.S. Transportation Secretary Anthony Foxx about the project, and Cuellar said Foxx was receptive. It was the third meeting between U.S. and Mexican officials related to the project, Cuellar said, following a meeting in the summer and another in October. If completed, supporters say the rail line could move passengers from San Antonio to Monterrey in two hours. The trip takes nearly five hours traveling by car. Cuellar said he became interested in such a project after learning that the Texas Department of Transportation had received $5.6 million in federal funds last year to study possible rail projects between Oklahoma City and South Texas. On Thursday, Texas Transportation Commissioner Jeff Austin said Texas officials requested an additional $400,000 from Foxx so that TxDOT could expand the study past the border, which will impact the routes that TxDOT considers. The original study is scheduled to be completed in December, but incorporating the Mexico portion of the route will take longer, Austin said. Both Mexican and U.S. officials envision a large portion of the project’s funding coming from the private sector, perhaps from a single company investing in the project in both countries. Jorge Domene Zambrano, chief of staff for the governor of the state of Nuevo León, said the cost of the Mexican portion of the project is estimated at $1.5 billion. Texas and federal officials said estimates for the cost of the U.S. portion of the project are not yet available. In Mexico, officials have already secured the rights of way for a rail line from Monterrey to the border, according to Zambrano. He said the route was originally secured for a possible future cargo line but could also be used for high-speed passenger rail. Both U.S. and Mexican officials argued that traveling between the two countries by high-speed rail line would be safer than passengers traveling by car or bus because the rail line would have few stops. Like other high-speed rail initiatives currently being looked at by officials in Texas, this one is in the very early stages. Mexican officials said their portion could be up and running as early as 2018. An optimistic scenario for the U.S. side might be eight years, Cuellar said. The Texas Department of Transportation has moved one step closer towards the idea of using rail as an option to address highway congestion on Interstate 35. The news comes as the TxDOT kicks off a $14 million, two-year study to explore the possibility of passenger rail service from Oklahoma City to South Texas. The study will examine the best possible options for the development of passenger trains that will connect metropolitan areas such as the Dallas-Fort Worth area, Austin, and San Antonio. 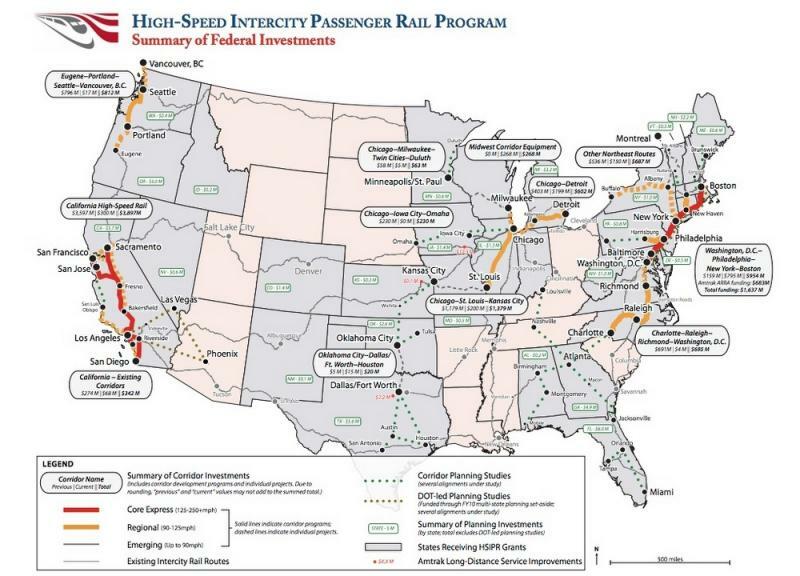 The analysis will compare different types of services, including both a new high-speed rail system and existing Amtrak routes. The rail study is partially funded by a $5.6 million grant from the Federal Railroad Administration’s High Speed and Intercity Passenger Rail program, and a 20 percent match by TxDOT.